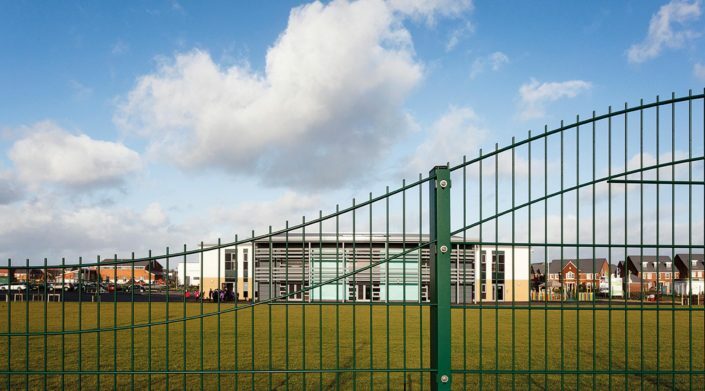 You often need fencing that is safe, secure and at the same time being visually appealing, particularly around playgrounds, recreation areas and housing developments. This is exactly what the Dulok Wavetop ™ offers; an attractive Wave Top Fencing perimeter, available in a range of RAL colours, which also stands up to vandals. 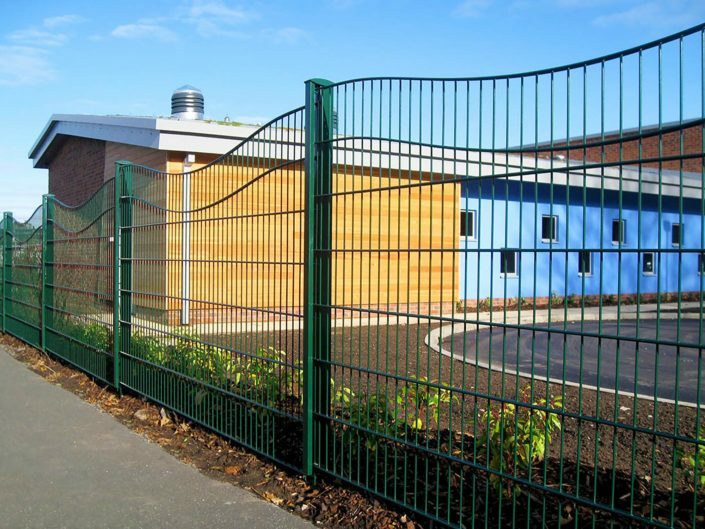 The Concave and Convex Panels can be used to create a Wave Top Fencing design that can either flow, dip in or push out making it aesthetically pleasing for school and playgrounds. 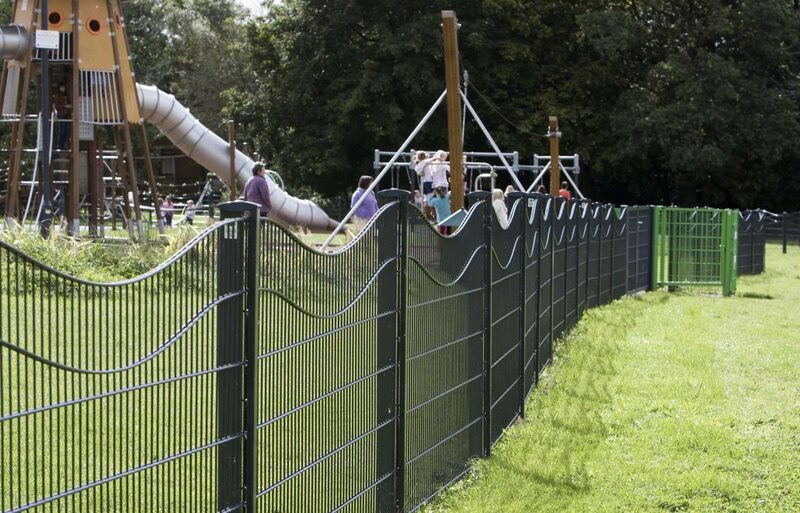 Each steel panel of the Dulok Wavetop™ has twin 8mm wires welded either side of 6mm vertical wires. This double wire feature is the signature of our Dulok ™ range, making panels stronger, more rigid and extremely tough to cut through. The galvanised steel posts also feature an anti-vandal security cap and a clamp bar with no visible fixings, adding an essential level of safety for areas designed for children. 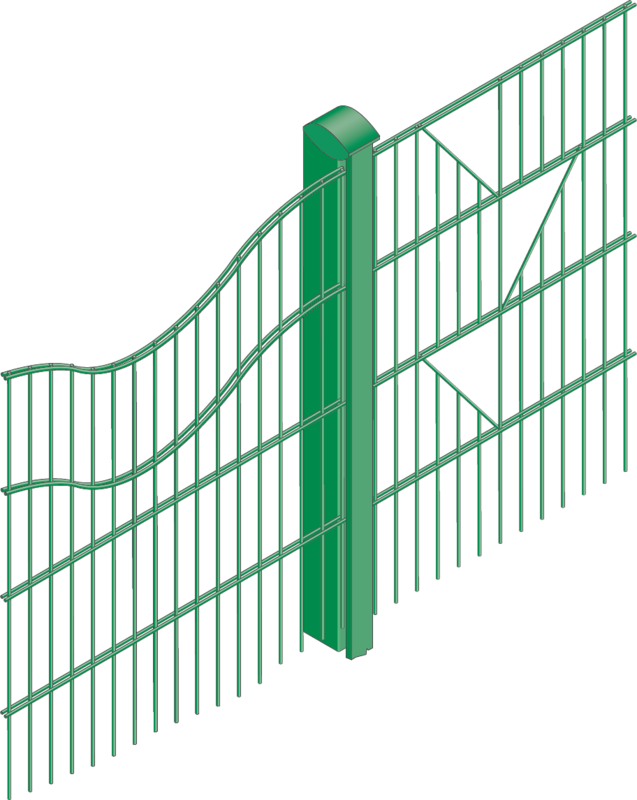 You also have the added assurance that the Dulok Wavetop ™ system conforms to BS 1722-14 for open mesh steel panel fences. 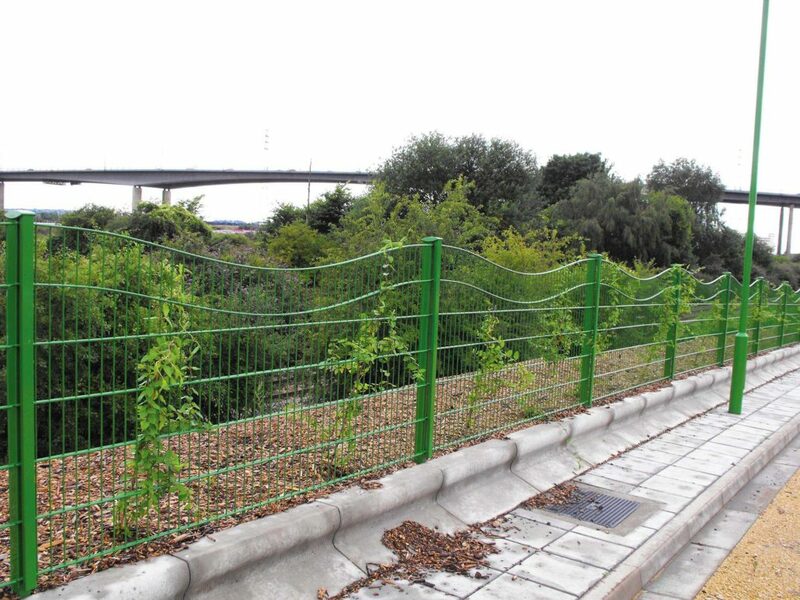 Hot dip galvanised only or galvanised and polyester powder coated. The standard colour is Green RAL 6005. 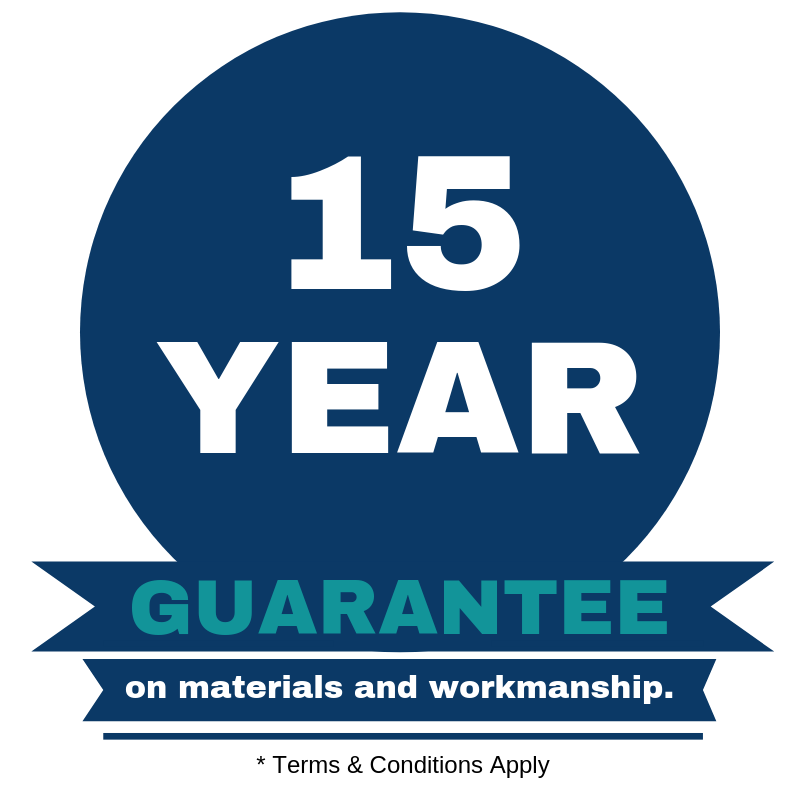 RAL range of colours.